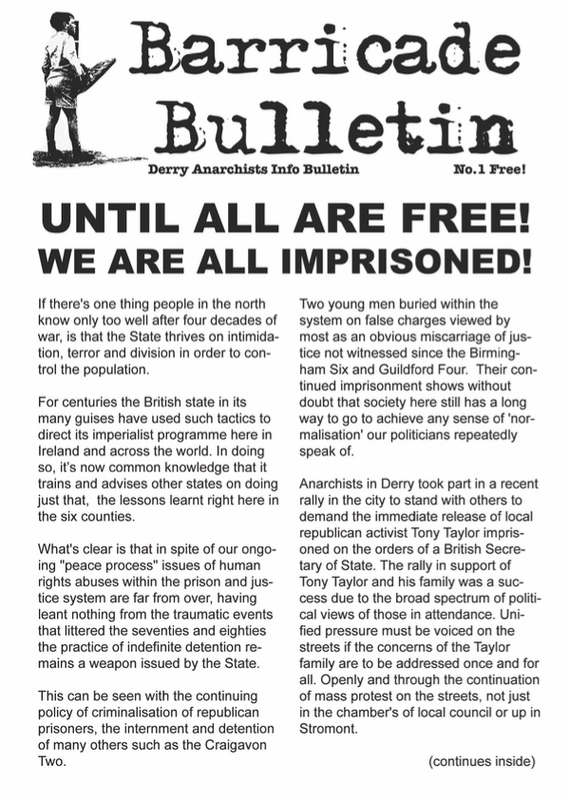 August 2016 saw the first issue of a four page Barricade Bulletin from Derry Anarchists (an initiative of the local Workers Solidarity Movement branch). It is “our intention to issue this free news sheet every two months locally to help generate anarchist info and knowledge of class struggle anarchism to a wider audience beyond the boundaries and limitations of the internet”. 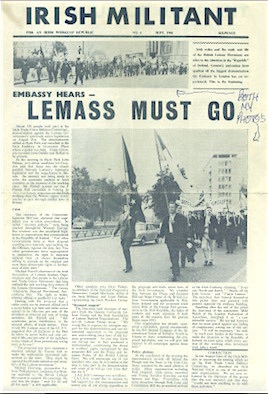 Articles include an interview with one of their own members about how he became an anarchist, and a cover story about the ‘internment by remand’ of dissident republicans like Tony Taylor and the jailing of the Craigavon Two, whose case is “an obvious miscarriage of justice not witnessed since the Birmingham Six and Guildford Four”. There was another Barricade Bulletin published from “Free Derry” in 1969. The Northern Ireland Labour Party was a lethargic and liberal unionist party which died from irrelevance by the end of the 1970s. However in the late 1960s Derry had a lively and militant branch, involving much of the city’s left, and they were the publishers of this. Among those involved were Mickey Divine, who joined the INLA and died in the 1981 hunger strike; Eamon McCann, now a People Before Profit MLA in the Northern Ireland Assembly; and veteran feminist and journalist Nell McCafferty. 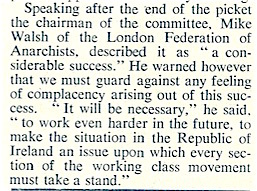 The Irish Militant of September 1966 reported on a march of the Irish Trade Union Defence Committee to the Irish embassy in London. Among the banners listed as present were those of anarchists, and the chair of the rally was Mike Walsh of the London Federation of Anarchists. The photograph shows Saor Eire activist Frank Keane carrying the Irish tricolour and Dublin republican Eamonn Nolan carrying the Starry Plough. Behind Keane is Butch Roche who threw a canister of CS gas into the House of Commons in 1970, after the British army had fired thousands of rounds of CS into the Bogside area of Derry, and the Lower Falls in Belfast. 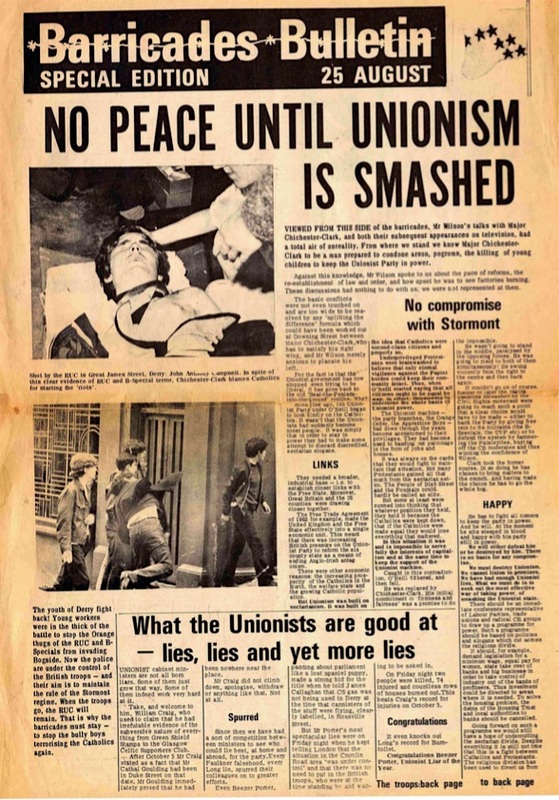 This paper was published by the Irish Workers Group, a 1960s London-based group of Irish emigrants, which brought together disaffected left republicans and Trotskyists. Members of the IWG later influential in the Irish left include SWP member and Derry MLA Eamonn McCann, and former Peoples Democracy leader Michael Farrell. Paddy and Seamus Healy were also involved, later setting up the League for a Workers Republic in Ireland. Today Seamus is an independent TD for Tipperary. 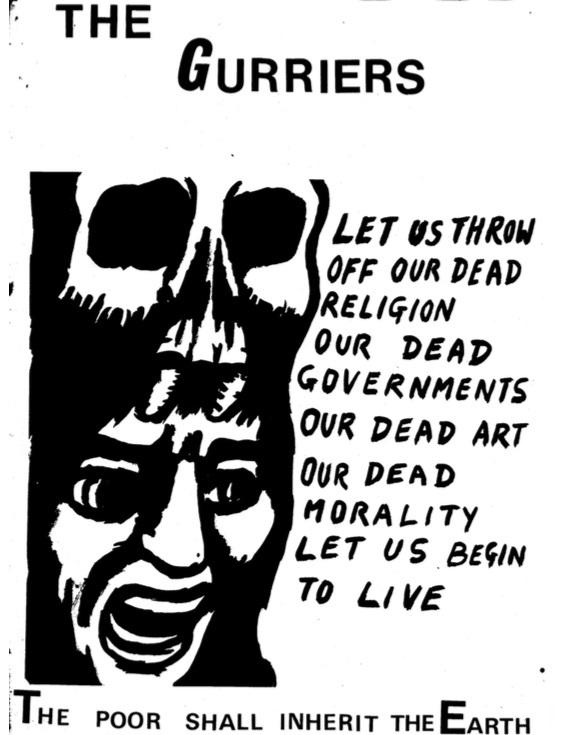 Gurriers* was produced in 1969 and handed out at University College, Dublin and also at the anti-apartheid demonstration against the Springbok Rugby tour that year. It was produced by Phil Meyler and was heavily influenced by Raoul Vaneigen’s situationist pamphlet, The Revolution of Everyday Life. Phil was invited to visit the University President, and his mother had a visit from the Special Branch who wanted to question him. Phil declined both invitations. In the Ireland of 1969 you could not publish writings like “The various images of Jesus, from the little underpants on the cross to the unbelievable Sacred Heart, all the martyrs, etc….what pickings for the sadists. For masochist; the suffering of hellfire, threats, and the whip actually permitted. For scapular fetishists, relics, Rosary beads, Mary’s garters, Saint Patrick’s shamrocks. Every perversion that one would ever desire..” without expecting a rather fevered response! Situationism is a minor variant of libertarian Marxism, originally developed by ‘avant grade’ artists. Whilst not anarchist, neither is it hostile to anarchism. 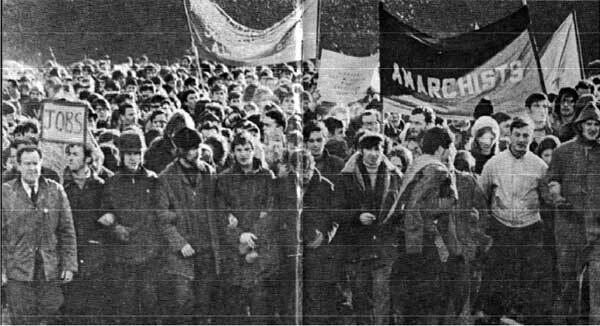 Perhaps the high point of its influence was among students during the 1968 revolt in France. Phil Meyler (aka Phil Mailer) was born in Dublin in 1946 and has been a teacher in Portugal, the US and Ireland for many years. After living in London, where he was on the fringes of the ‘King Mob’ situationist group in the late 1960s, he went to Portugal in 1973 to teach English. 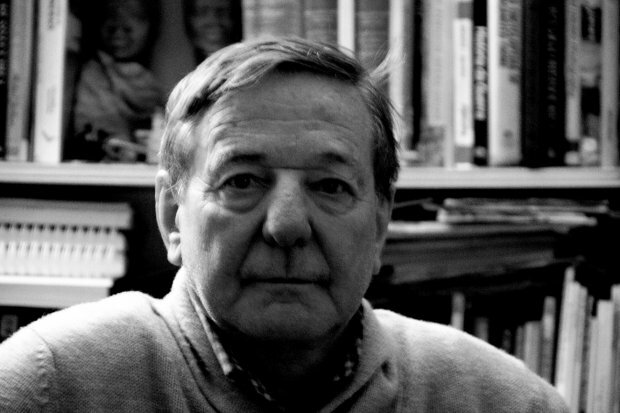 There, he participated in the events following the Revolution of April 1974, become an editor of the newspaper Combate and managed a radical bookshop in Lisbon with other Portuguese revolutionaries. He has been a long-time translator from Portuguese and has translated the song-lyrics and poems of José Afonso (whose song Grandola was a signal for the 1974 revolution). He is the editor of Livewire Publications, which has published Misfit, the autobiography of Captain Jack White. White was a founder of the Irish Citizen Army during the 1913 lockout, and one of the Irish who went to fight fascism in Spain in 1936, where he became a supporter of the anarchists. Meyler is probably best known as the author of Portugal: The Impossible Revolution? After the military coup on April 25th, 1974, which saw the overthrow of almost fifty years of fascist rule and an end to three colonial wars, there followed eighteen months of struggle and change, which challenged every aspect of Portuguese society. That book is the story of what happened in those months after April 1974, as seen and felt by a deeply committed participant. *Gurrier: Irish synonym for hooligan or corner boy, usually applied to teenagers and younger children. As part of his work to preserve the history and memories of Irish left and left republican movements, Mick Healy is hosting a public meeting in Dublin on September 12th. 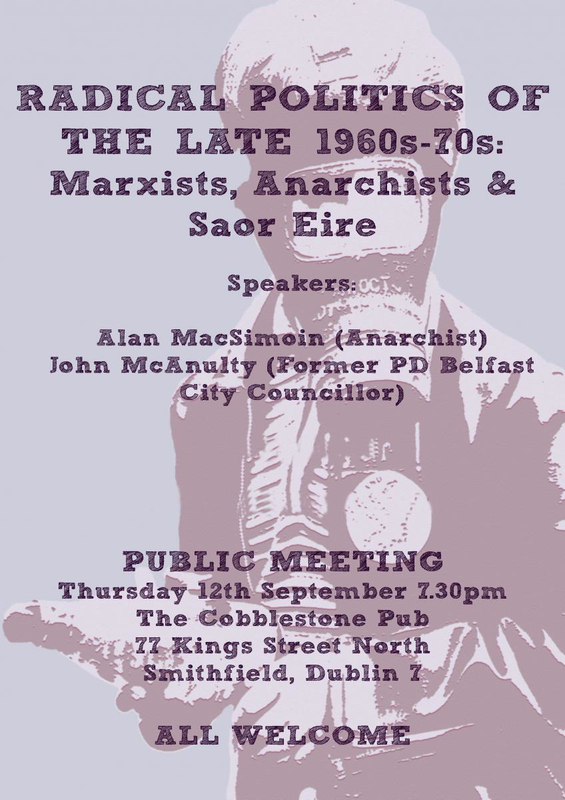 Alan MacSimoin of the Irish Anarchist History Archive will talk about the group of Official Republicans who moved towards anarchism in the early 1970s, the case of Marie & Noel Murray, and the Dublin left of that period. There is a myth about John McGuffin carrying the Belfast Anarchist Group‘s banner singlehanded on the Belfast to Derry civil rights march organised by Peoples Democracy in January 1969. “It was during the ‘long march’ and savage attack on the demonstrators at Burntollet by police and Paisleyites, that McGuffin was written into history for having an anarchist banner on the march. Much mileage has been made out of the story that McGuffin allegedly carried the banner on his own at times throughout the march, though it is something confirmed only in some memoirs of the events and finds no verification in the major studies of the protest and period. 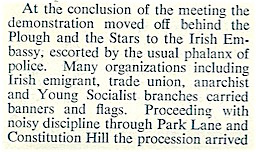 What actually happened, according to a Belfast Anarchist Group member, was that McGuffin phoned him to bring the banner for the last stage of the march into Derry, and after the Burntollet ambush, these members joined with McGuffin and marched with the banner into Derry. (1) The mistaken story of McGuffin carrying the banner himself appears to have originated with Bernadette Devlin or her ghostwriter (see Bernadette Devlin, The Price of My Soul [London, 1969], p.125 & p.142).